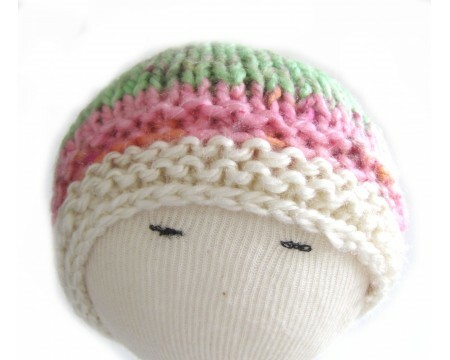 The medium weight knit acrylic beanie will keep your baby warm. The measurement is 13-14" around (stretchy) and 5.5" high. The size should fit a baby up to one year old depending on head size.